Just to let you know that I'll soon be heading off to the land of Dustin The Turkey (!) 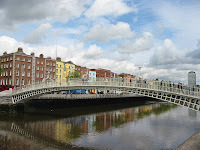 this coming weekend for a couple of days with faithful travelling companion, the occasion being a party to celebrate the recent marriage of one of faithful travelling companion's Dublin-based chums. As I'll be rather busy over the next couple of days and then I'll be away, there won't be any more posts on here till late Sunday night. It's the bank holiday weekend which means I won't be working on Monday so can hang out in blog-land without watching the clock! ...for my parallel universe, Planet Salem, which (if you didn't already know) is my other blog, a fansite devoted to a Swedish singer named Salem Al Fakir. You may or may not have heard of him, but I happen to think he's the greatest singer/songwriter/musician in the world right now. I've given the site a little bit of a relaunch today and I'm now billing it as "the international Salem Al Fakir fansite", which hopefully should 'do what it says on the tin' and help bring his music to an international audience. Been on a bit of a nostalgia trip tonight as Sky TV screened the "A to Z of Gladiators", a look back at the popular 90s TV gameshow. 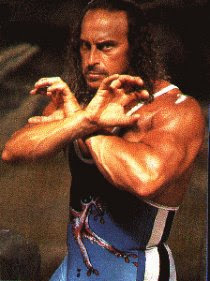 When "Gladiators" began in the UK in 1992, it became a ratings hit and was a Saturday night must-see for this blogger. It had all the ingredients for a successful run - the "Contenders" - members of the public who had to pass gruelling audition tests - versus the "Gladiators" - a group of fit, muscular men and women with quite frankly ridiculous, character names, competing in a massive arena in front of a frenzied audience waving big foamy fingers in the air. How could it fail? But like every TV formula, my fascination with it soon wore thin after a couple of years, although it remained on our screens for - believe it or not - 8 series. Haven't been over to SR P3's "Digilistan" for a while, so now is as good a time as any. "Curly Sue" a long-running chart hit by Takida, is now going back up the Swedish chart and is no.7. Again, this Metallica-style rock ballad has international chart potential and I wouldn't bet against it doing well outside Sweden. Another little treat, "Love Song" by Sara Bareilles, is no.10. This is an uptempo feelgood piano-based track and has been a particular favourite of mine over recent weeks. M Pokora is no.16 with his English-language breakthrough single "Dangerous" with the help of the mighty Timbaland (YEAH!). After her big hit single "Let Me Think About It", Danish dance diva Ida Corr is now back with "Ride My Tempo", a decent slice of electro-soul although it's nowhere near as good as her Fedde Le Grand collaboration. Interesting to see Brolle Jr's "Watching The Stars" re-enter at no.49 after it was performed last week on "Körslaget". As for this year's Melodifestivalen acts, they're no longer monopolising the top 20 but some are still around in the following chart positions: 6 - Linda Bengtzing, 11 - Charlotte Perrelli, 12 - Sanna Nielsen, 13 - Maia Hirasawa (ok, ok, interval act, I know), 14 - BWO, 18 - Nordman, 24 - Amy Diamond, 27 - Rongedal, 29 - Sibel, 33 - Frida featuring Headline. That new Prāta Vētra (Brainstorm) song. I've decided to be a bit more, um, 'authentic' as I count down to my Latvian adventure. So I'm only going to listen to Prāta Vētra singing in Latvian rather than in English. Quite fortunate really as their new single is in their native language. It's called "Ja tikai uz mani tu paskatītos". Initially I didn't like it as much as "And I Lie" but having heard it a couple of times now, it's a grower. I will really need to make an effort to check out other Latvian music (that isn't Prāta Vētra or for that matter, anything that country ever sent to Eurovision) before I go, but knowing me I'll probably buy up everything Prāta Vētra-related. Wouldn't mind a live DVD either, not that I want to drool over Renars Kaupers or anything, you know....!!! This leaves Cans, Brolle and Lotta in the competition. TV4 doesn't have all the final performances but there's a clip of Team Linda rehearsing "Satellit" which is one of my favourite Swedish songs of all time, so I'm even more annoyed that they are out!! 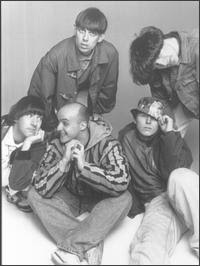 I miss Jay Kay being around and making music. Jamiroquai was just one of my favourite bands ever, and Jay is an underrated and unfairly criticised genius, so I hope that some day soon he will return because the British music scene ineeds his talent!! "Love Foolosophy" is my favourite Jamiroquai song. I remember when it was out that I would play it over and over again, and even now it has that effect on me. Check out the video at http://www.youtube.com/watch?v=KBwa0Eg4tRQ. Jay Kay + Heidi Klum + fast car + swimming pool. You get the idea. On Wednesday night I went for dinner at my favourite local Indian restaurant with faithful travelling companion. Usually the dinner soundtrack is a recent "Now That's What I Call Music" CD however they surprised us this week, firstly we got Robbie Williams' "Escapology" then that was followed by Shaggy's "Lucky Day" album, which caused us no end of amusement due to "Shaggy!!" being shouted at the beginning of each track. As you can probably tell, it doesn't take much to amuse us.....! Still on that acid-jazz vibe we have one of the best, most underrated British soul-jazz acts of the 1990s. Try to get a copy of "Trunk Funk" which is a best-of collection of all their singles. I've chosen "Dream Come True" - which features the fabulous N'dea Davenport on vocals. I feel rather gutted, as I've just discovered that Svenska Favoriter ("hundra ett comma nio!") is no more. The station which played exclusively Swedish music and which soundtracked my Stockholm holiday in 2007 and subsequently provided backing music for many a blogging session, is gone and in its place comes Star FM, which just looks to me like a Swedish version of Real Radio (note to non-British readers: this is a British radio station which specialises in familiar oldies and 'safe' current hits). I don't know the reason why Svenska Favoriter has ceased to exist, but its all-schlager-all-the-time format could always guarantee some good old cheesy Swedish pop, with Melodifestivalen tracks old and new as its speciality. Full line-up was announced today for the Siesta! rock festival which will take place between 29-31 May in Hässleholm, southern Sweden. The line-up includes Moneybrother, Adam Tensta, Caesars, Lykke Li, Jose Gonzalez and Those Dancing Days, and loads of other very trendy alternative Swedish, British, American and Norwegian bands as well. Your humble blogger is now 1 lb lighter than she was last week - whooooopppppeeeeee! This week's all been about point-counting, water-drinking, mini-stepping and even a bit of lawnmowing thrown in, as we managed to achieve the impossible and had four non-rainy days in a row!! I've noticed a trend over the past five years that when the second album comes around, various bands/artists have been unable to sustain the greatness of their debut album. (Exhibit A: Keane. Exhibit B: Scissor Sisters). 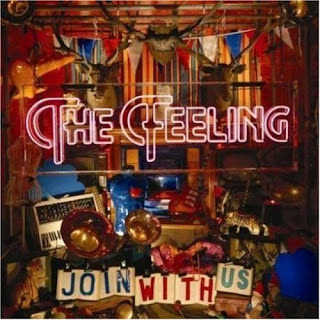 So the big question was, would "Join With Us" by The Feeling be as good as its predecessor, "Twelve Stops and Home"? First single "I Thought It Was Over" is certainly a punchy start and the promise of a new direction, however it is not really reflective of the rest of the album. Who decided that "Without You" would be the second single? It's a bit drippy and sickly sweet. I'm not a ballad fan as you know, and this song about being far from "London town" isn't one of their best. What got The Feeling noticed in the first place was its singalong anthems with a strong 70s influence. The title track brings it back and proves, deep down, that they might just be the long lost children of Pilot and Andrew Gold. "Spare Me", another ballad, it's ok but gets a bit plodding. "Turn It Up": this may well be this album's "I Love It When You Call" with the 'oww-oww' hooks from "Fill My Little World" thrown in. Frighteningly catchy, and surely a future single, although by this point on the album it's clear that there's nothing better or equal to the best tracks on "Twelve Stops..." - even the tracks from that which weren't singles, like "I Want You Now" or "Helicopter". "I Did It For Everyone" - it's ok.
"Won't Go Away" - cheerfully retro foot-tapper which is far too cheesy for words - it even has a sax solo! Nevertheless, I quite like this. "Loneliness" - another rather good track with a catchy chorus. "Conor" - his vocals are just a wee bit annoying on this. "Don't Make Me Sad" - If Chas & Dave's "Ain't No Pleasing You" was sung by a stylish-looking bloke in a posh English accent, then you get the idea. Not bad. "The Greatest Show On Earth" - an ambitious, epic closer. Again another ballad, although the sheer quality of the musical arrangement here sets it apart from the rest. "We Can Dance" - a nice, foot-tapping end to the album. There's nothing really wrong with "Join With Us": it's a rather good album, but it's not a great one. 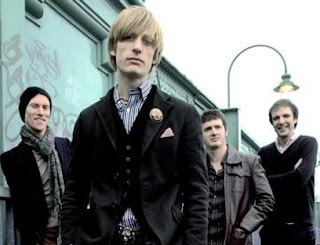 The verdict: Yet again (IMHO) we have another band whose follow-up album has not matched the greatness of their debut. Guilty! Nouvelle Star: It's back...and I didn't even know!! Shame on me. For I have failed in my duty to bring news of France's other big reality-talent show. It seems no time since I was doing my weekly reports on the last series - can it really be a year? Apparently, yes. This year's remaining contestants are Amandine, Benjamin, Cedric, Jules, Kristov, Lucile, Thomas and Ycare. I only have the names at the moment - I haven't seen them or heard what they sound like, but I'll get on that in the next few days and should hopefully bring weekly updates from next week onwards. The link on M6's website wasn't working tonight, but fingers crossed that good old YouTube and Daily Motion won't let me down...! It's a cover of "Please Don't Go", the KC & The Sunshine Band ballad, which was reinvented in 1992 by KWS as a dancey tune. Now it's been reinvented yet again in the style of "Boten Anna"/"Now You're Gone". Can I just add my voice to the millions (ok I exaggerate) who have already pointed out that this.is.not.a.good.idea. Can we have something new, and different, next time please? Talking of Swedish dance exports, congratulations to Petra "September" Marklund who has been sitting in the UK top 10 singles for the last couple of weeks with "Cry For You". I had a feeling a couple of months ago that she was going to make it big here, and I was right. Now all they need to do is re-release "Satellites" and then follow it up with "Can't Get Over" and I will be a very happy blogger indeed. Firstly, a minute’s silence for Saturday night television. "Harry Hill’s TV Burp" has come to the end of its current, fabulous run. His surreal observational comedy talent was finally recognised with two awards at the BAFTA TV Awards the other night (I treasure his "CHIPPY CHIPS!!!" acceptance speech) and hopefully he won’t be off our screens for too long. I never thought I’d see the day when I got sick of the reality-talent show (well, British ones anyway - European ones are still ok), but that day has finally arrived, it seems. "I’d Do Anything" is a very appropriate title for the latest West End musical star search - after all, is it really true that acting the part of Nancy in "Oliver!" and cavorting around singing "It’s A Fine Life", is all this group of young, attractive women "have wanted to do all their life"? Umm, I think not. I watched this show from the beginning, but I’m tired of this show now, I didn’t even watch it on Saturday night. The other part of this show is a search for three kiddie performers to play the leading role....oh, pass the sick bag. Maybe the format has just gone stale now, but I can’t help thinking that they chose the wrong musical. After "The Sound of Music" and "Joseph", a more modern musical would have been a good choice; "Saturday Night Fever" would have been perfect, and they could have selected a male and female lead. A missed opportunity. Don’t even start me on "Britain's Got Talent". This show is yet another one suffering from "Cowell’s Disease", a rare medical condition whereby contestants, audience and judges are regularly infected with spontaneous fits of crying. I won’t be watching again - I got soooooo bored this week. Can it get any more cynical? One of the few British reality-type shows I still have time for is "The Apprentice" which is must-see weekly viewing because of all the clashing egos, the back-stabbing (even more than ever, this series!) and Sir Alan Sugar’s brilliant boardroom put-downs. It’s great to see these wannabe tycoons being humiliated every week. I’m not really into humiliation but in this case, they asked - no, begged - for it! A quick mention for DW-TV’s "Pop Xport" which I mentioned last year on this blog. This fortnightly round-up of everything that’s going on in the German music scene is essential viewing and covers all types of music, from heavy rock to rap to alternative to the cheesiest pop. If you like German music and have Sky Digital, check this out. Is it just me, or are TV game shows a bit rubbish now? It’s all psychological nonsense, trying to work out what your opponent’s thinking. Thank goodness therefore for Challenge TV, still bringing golden oldie gameshows like "Family Fortunes" and "Bullseye" and "Take Your Pick" from the days when TV quizzes were more simple than they are now. Riga: 4 weeks to go!! Ready for take-off: Vincent vs Basshunter! Only in Sweden could Saturday night's top show consist of various choirs from Swedish towns competing against each other, each team captained by a well-known Swedish singing celebrity. Finally able to watch videos on TV4's revamped site, so I was able to check out the show at last and would like to announce that this blog is now supporting Team Brolle and Team Linda, and should both get to the final, then Brolle will get my vote!! I haven't posted any screencaps for a while, but here are some from last night's show. They are a bit blurry, but they'll just have to do!! Brolle, and his magnificent quiff! Team Brolle, all the way from Boden, "Watching The Stars"
Team Markoolio, and someone who's not Linda, singing "Varsta Schlager". I've never really understood Markoolio's appeal, and obviously the viewers last night didn't either, as he and his team were evicted from the competition. I used to think that Lykke Li and Miss Li were one and the same person. Therefore I couldn't understand, around the beginning of 2008, why everyone was raving on about how good Lykke Li was. All that time I was thinking of Miss Li, as in "boring duet with Lars Winnerback", the same Miss Li who appeared at the Rockbjornen gala and left me thinking I'd never heard so much rubbish in my life. I was wrong. Lykke Li is not Miss Li, although both are Swedish female singers with their own individual style. 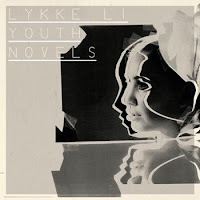 "Youth Novels", Lykke's debut album, is due to be released in the UK and Europe later this spring but has already been out for a couple of months in Sweden. As critics worldwide are looking for "the new Robyn", i.e. someone young, female, offbeat, quirky and dabbling in electro pop, it's inevitable that some have tagged Lykke Li with this description. I can see where they're coming from, but feel that Lykke (I love that name!) still has a way to go to establish herself as a truly great talent - but bear in mind that it's taken Robyn 14 years to achieve her worldwide success. The best tracks on this debut album are "Little Bit" (which is her best known song and possibly the most accessible track here) and "I'm Good, I'm Gone" which would sound fantastic in a dance remix. Any offers? "My Love" is rather touching, a gentle acoustic ramble backed up with a strong drumbeat hook, whilst "Complaint Department" is a favourite of mine, with it's bleak electro backdrop and finger-wagging lyric - "if you want to complain/I'm not the complaint department!" The album was produced by the Bjorn one out of Peter, Bjorn and John which may account for the sparse and slightly offbeat sounds throughout the album. All in all it's a reasonable enough debut, and many of the tracks have a distinct charm, however it's best taken in small doses as Lykke's sugary sweet voice could potentially become irritating over the course of an album. The Lemur Blog (http://thelemurblog.blogspot.com) has called it the year's best debut and even described it as 'this year's "This is Who I Am"', well, IMHO, it's a long way from the greatness of that album but it's a fine debut indeed. Weekends - The Mighty Wah! : Time for a Pete Wylie revival? During the 1980s he consistently provided various musical delights with his various Wah! incarnations. Here is one of them. Thinking About Your Love - Skipworth and Turner: exceptional 80s soul-dance tune which I probably appreciate more now than I did then, and I thought it was pretty good back in the day. Partners In Crime - Rupert Holmes: Inspired by his appearance on a recent Retro Saturday, this is lyrically sharp and has surprisingly held up well indeed. The Storm - World of Twist: Another ex-Retro favourite which still sounds very good today. Black and Gold - Sam Sparro: well, what did you expect? A weekly playlist without this one? No chance. Måndagsbarn - Veronica Maggio: I wasn't really a fan of hers before, but this retro-flavoured tune (produced by one of my Snook boys!) is a finger-clicking, foot-tapping treat. Tvåhundratusen - Eric Gadd: He's possibly been around for ever, but he's back (and back on form) with this very well produced falsetto stomper. Dangerous - M Pokora: International hit potential guaranteed for this Timbaland-produced catchy r'n'b number. Already climbing the Swedish chart. Let It Shine/World of Its Own - Tingsek: something new and something old from this very creative, soulful Swedish artist. Love Song - Sara Bareilles: Think Colbie Caillat meets Mika: that's how I'd describe this song, by an American singer who I've just discovered although she's been around for ages. Terry Hall: lead singer of the Specials, then went on to form The Fun Boy Three and The Colourfield. His next step was a trio with two girls named Blair and Anouchka. Possibly one of the most underrated, unappreciated pop singles of all time, the uplifting "Ultra Modern Nursery Rhyme" was released in 1990 to .....total failure. Does anyone out there love this as much as I do? Possibly, as it's been posted at http://www.youtube.com/watch?v=QiiLQH_2fjY with lots of positive comments left there too. So I'm not the only one who remembers/loves this then....! Going back to the 80s again for this week's Retro Saturday, and this week I've got some tracks you might either never heard of, or maybe just totally forgotten about. ...got a great Retro Saturday coming up. Usually I don't know what songs I'm picking till Saturday night, but there are a few obscure 80s songs which I'd forgotten all about until they popped into my mind tonight. My weekly playlist is also going to have an oldies feel to it as I've not had much time to check out new music this week, but I'll try to get at least one overdue album review on here as well. Anyway I've just discovered that I can connect a USB flash drive to the DVD recorder and hey presto, you get to see videos if they're in a compatible format. Needless to say, I have a few videos on my USB drive of a certain Swedish singer I'm obsessed with (clue: subject of my other blog!!) and now I can play these videos on my TV. It's all too much!! Anyway, gotta go as it's another day in work/hell (delete as appropriate) tomorrow and I need to sleep. Goodnight y'all! Being of a cheerful disposition most of the time, it's all the more amazing that we've managed to cope with what seems like never-ending domestic crisis situations over the last 14 months or so at EuropeCrazy HQ. And so to the icing on the cake today: what we initially thought was yet another gas boiler breakdown turned out to be a leak from the gas pipe under the floorboards in our living room. Potential death trap situation was averted thanks to a multi-talented gas engineer who not only repaired the leak and installed a new section of gas pipe, but also re-fitted all the ripped-up carpets. Now can we have some good luck for a change????? Blue-coloured cows. No it's not April Fool's Day. "Blue cows" do exist in Latvia, apparently they are a very rare and unique breed. Don't believe it? Check out this video! OK the story so far....Sweden won Eurovision in 1991 so they were hosting in 1992....what did they give us? Ummm.....Christer "Mr Melodifestivalen" Bjorkman = flop. MF 1987: one farce of a result. "Fyra Bugg och en Coca-Cola" by Lotta Engberg won that year - possibly the worst ever MF result IMHO, whilst the complete awesome-ness of "Dansa i Neon" by Lena Philipsson was forced to settle for (only) 5th place. Check out Lena Ph and her big hair at http://www.youtube.com/watch?v=273doGZGYiA. Sound of Music (featuring Nanne Gronvall) had equally big hair, and you can find their live performance of "Alexandra" at http://www.youtube.com/watch?v=EYnmojIzjTA whilst another cult MF song "Hogt Over Havet" by Arja Sajonmaa is at http://www.youtube.com/watch?v=MwUSllekbb0. Onwards to 1979: despite the considerable presence of Tomas Ledin yet again, this time with "Det Ligger i Luften" (video at http://www.youtube.com/watch?v=kaO4Mpa17Ug0) it wasn't enough to stop Ted Gärdestad's "Satellit" that year. That is still one of my most fondly remembered MF winners, which I still listen to a lot in both its original Swedish and also English versions. Ted is of course sadly no longer with us: this talented Swedish singer/songwriter killed himself in 1997, aged 41. If you need more info regarding Ted then check out a very informative and respectful entry over at http://www.wikipedia.org/. EDIT 14.04.08: Sam narrowly missed out on the no.1 spot this week and had to settle for second place - Estelle remains at the top. "Zorro" is a new musical which has been touring the UK prior to opening in London's West End later in the year. I was recently fortunate enough to catch the show and all I can say is ... it's a must-see. You may remember the Antonio Banderas movie, well this stage production brings the swashbuckling antics of the masked hero to life. There were some technical problems during this tour, which resulted in a couple of shows being cancelled. I wasn't really surprised by this as it's a very ambitious production, with the deceptively simple set design constantly changing, and the performers leaping around and flying through the air - and don't even start me on the swordfighting: hopefully those swords weren't too sharp, or there could have been some serious damage done!! The well-known story of good versus evil is played out by a very talented and energetic cast, who hold your attention throughout. leading man Matt Rawle has a great singing voice and displayed good acting diversity from the slightly camp Diego to his brave and macho alter ego Zorro. (Although I found his posh-theatre-accent when playing Diego, maybe just a little strange!) Another major selling point is the score written by the Gipsy Kings, which includes some of their most popular and infectious songs - "Bamboleo", "Djobi Djoba" and "Baila Me" together with some new original songs sung in English and Spanish. The first half of the musical is dramatic and often intense, but there is a lot more humour and action in the second half and it's certainly a very lively show which held my attention throughout. There has been some criticism elsewhere on the internet that the show is too long at almost three hours, but to be honest I didn't find this a problem and thought it zipped along at a very good pace. I Whilst I was there I wondered how well this musical will go in London, as it's a bit more unconventional than the usual popular shows - will musical theatre traditionalists accept a musical with much of the material sung in Spanish, for example? (That's not a criticism from me as I love almost anything in a foreign language, but I could imagine a lot of people hating the idea). 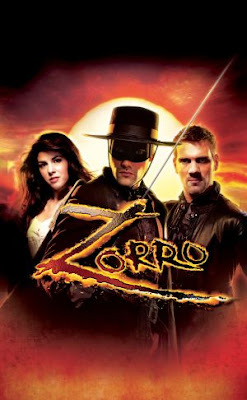 "Zorro" is certainly very different from the norm when it comes to musical theatre, and I thought it was a great show. It's been a while since we heard from one of my favourite Swedish "Idol" contestants ever, so I thought I'd check out his official site only to find that it had disappeared. In its place comes Sebastian's new MySpace site where he's keeping us all up to date on the progress of his third album - which will be out later this year. Dare I say YAAAAAAYYYYYYYYY!!!! Can't wait to hear this as I still think he's great. And on a totally shallow note, it's nice to see that he's grown his hair, as IMHO he didn't suit the 'bald' look. Check out www.myspace.com/sebastiankarlsson which also has tracks from his first two albums. Very sad news tonight as I discovered that one of my blogging buddies Acer Ben has made the decision to close down one of the best pop blogs ever - Pop Unlimited. If you've ever visited that blog you couldn't fail to appreciate his knowledge, enthusiasm and love of pop music. He put so much time, effort and hard work into every post, and not to mention the task of uploading videos and bringing back fond memories of long-lost 90s pop and dance acts with all those Top of the Pops video clips. On a personal note, Acer Ben was one of the first people to ever leave comments on my blog and I always loved reading what he had to say. He also always made me and his other regular visitors feel very welcome over at Pop Unlimited. Also, it was nice to come across someone who was as completely mad about French reality TV talent show Star Academy as I was! Acer Ben's now off into the "real world" and I wish him lots of luck with his plans to pursue a career in the music industry - it certainly needs someone with his enthusiasm. If you understand Swedish and know anything about "Körslaget" - I need your help! I see that the Swedish press is reporting some kind of scandal about TV4's "Körslaget" which is a new "Clash of the Choirs" show. I haven't actually seen any of the clips yet as I can't get any TV4 clips to play on my temperamental computer (possibly need to upgrade Media Player?). "Diet Coke and a pizza please..."
Right, now I've got your attention, I just want to say how much I love it when all my lovely readers leave comments about any of my blog posts. However, this morning I had to delete one comment, not because I didn't agree with it, but because it contained, let's just say, "colourful language". Before you ask, I didn't delete this comment because of certain words, as that kind of language doesn't offend me, and I totally detest censorship. No, it's a more simple reason than that .... basically it's because I access the blog and do some occasional posting during break time/lunch time at the office, and my lovely employer's web filter blocks many websites which mention "certain words" and will also register that I've tried to visit them, and could have very serious consequences. He actually arrived on the French music scene in 1994 and his debut hit was this one, "Sur La Route"
Gerald also toured in 2002 and a live CD and DVD was released. There was also one new song on this CD - "Elle S'ennuie" which was a more rockier sound from him. Some horrible things in this video, maybe best not watching if you don’t like insects! When you think about how popular the laid-back singer/songwriter style of music has been over the past few years, I would say that Gerald De Palmas was definitely ahead of his time as he was making that type of music much earlier in this decade. If you listen to Christophe Mae's music for example, it's very influenced by De Palmas. There is still no news of any new material from this very talented artist (now 40 years old) and his official website hasn't been updated either. Hopefully he will come back within the next couple of years with some new music - I'll certainly keep my eyes and ears out for this and will post any info on here when I get it. Let's see what's happening in the French singles chart. After the last few years making rather good French language r'n'b, M Pokora has now released his third album (his first in the English language) it's called "MP3". The first single from it, "Dangerous" was premiered at the NRJ Music Awards back in January and now it's top of the French singles chart. The track is a collaboration with Timbaland and I feel it has international hit potential, even if (IMHO) it's a little repetitive and nowhere near as great as "Elle Me Controle". French dance music is on a real high at the moment and yet another one of their top DJs Laurent Wolf is at no.2 this week with "No Stress" which is in the same kind of vein as David Guetta, only not as good. Loving the sentiment though - "I don't wanna work today...."
"Je Realise" by Sinik is still doing well and getting lots of radio airplay. Who'd have thought that James Blunt would ever appear on a bearable record? Yes folks, the impossible has been achieved, as this mix of French rap and the (disturbingly popular in France) Mr Blunt actually works. "Tant Besoin de Toi" by Marc Antoine is also still in the top 10 singles and again getting a lot of airplay. I still find it a little too repetitive and feel it becomes quickly boring. Jenifer is of course one of my favourite French female singers but "Comme Un Hic" isn't much more than OK, in fact I find it rather annoying and hasn't grown on me the way that "Tourner Ma Page" did, even if that took a long time. I've not really been keen on the solo material by Christophe Mae but "Belle Demoiselle" is pleasant enough, it's still in the same Jack Johnson/Eagle-Eye Cherry influenced style as "On S'Attache". Maybe I might like this because it's also very reminiscent of Gerald de Palmas, whose music I absolutely love. In fact - totally spontaneous here - I'm gonna do a post about him! "Let It Shine" - Tingsek: Have just discovered yet another Swedish genius. You can't really describe this song, it's laid-back and jazzy and if you like Paolo Nutini/James Morrison this may just appeal to you. "Bang On The Piano" - Jack McManus: another possible long-runner in this playlist. Extremely catchy and uplifting pop. "Black and Gold" - Sam Sparro: will I ever get sick of this? Probably not. Still my favourite song of this year. "Just A Minute" - Rongedal: ditto. "Young Men Drive Fast"/"Sharks Are Cool" - The Quick: rediscovering this early 80s band whom I'd forgotten about but thanks to some other bloggers, I've found them again! "Come On Girl" - Taio Cruz: finally this is on my local radio playlist, but despite repeated plays I'm not sick of it yet. "Femme D'Aujourd'hui" - Sofia Essaïdi: first single from the new "Cleopatre" musical soundtrack. A real grower with 'hit' written all over it. "Dangerous" - M Pokora: when you're the French Justin Timberlake, then what's more appropriate than a collaboration with Timbaland? This may just bring him international success. They made a few other cracking singles too, including "Destroy The Heart", "The Girl With The Loneliest Eyes" and the great "You Don't Understand". They reformed a few years ago and are still going. Whilst they're not having chart success anymore they still have a good following and are a popular live band. Been so tired over the past week, and last night was no exception - I was even too sleepy to do my usual Saturday night trip back in time. So for one week only, I give you Retro Saturday - on Sunday! I suppose this week's theme is early to mid 90s British rock/pop, (as opposed to "Britpop", which all those post-Oasis/Blur bands of the mid 90s were labelled) . After this and their excellent debut album "K", they totally lost the plot and I couldn't really be bothered with their music after that. Believe it or not, they are still going! Sorry I haven't been around here much again this week - still recovering from last week's horrible cold and also looking after my mum who's not well at the moment. However I'll have a bit of spare time this weekend so expect this week's playlist, Retro Saturday and a few other things as well. Time for some more French music, I reckon....!